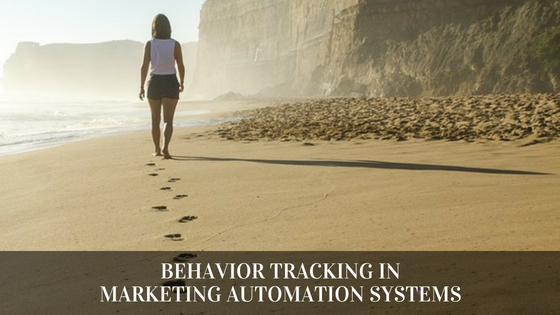 Marketing automation system can “spy” on what visitors do on the webpage, whether they open or click on emails, how they watch movies, etc., down to the individual level. In effect, this is behavior tracking, or monitoring the digital footprint of visitors. This collection of data can then be used for data-driven decision logic with the aim of personalizing the marketing according to the assumed interest of each individual. This information may be used for data-driven marketing and personalization, where each person receives the right information at the right time. It can also be used by the sales team to assist in prioritization of what leads to spend valuable sales rep time on. One of the basic features of marketing automation systems is the ability to follow what each visitor does on the site. The system simply instruments the company’s website, blog, or landing pages to watch how they are used. This is very simple and can in principle be done regardless of what content management system (CMS) is used – such as WordPress, Joomla, Drupal, Episerver, etc., or even hand-coded HTML pages. An important difference is that popular analytical tools like Google Analytics measure the behavior of a collective group of anonymous visitors, while a marketing automation system can link the information to a specific person. The reason is that every website visitor that have registered their contact information in a registration form on the site are known to the marketing automation system, which can thus connect the user activity to the corresponding identity. Conversely, general traffic analysis tools like Google Analytics measure the average behavior of groups of anonymous visitors. The marketing automation system also knows which buttons and links each visitor clicks, which forms are submitted, and if the system is used to send emails, it also knows who has opened and clicked the different messages. The system thus knows exactly what all visitors do, tracing their behavior and digital footprints. This means that marketers can customize how the contacts are managed towards each person in an individualized manner. This is a win-win situation; the marketers get better results, and the customer gets more relevant information at the right time – and less spam. Personalization can be done in terms of modified website copy or imagery, sending email with more relevant content or more attractive product offers, etc. The tracing of individual visitors’ behavior and digital footprint can be perceived as terrific or scary depending on what angle one sees it from – the marketer or visitor. One might wonder how a marketing automation system can know who visits the different pages and click on different buttons and links. The truth is, it doesn’t really know – at least not initially. When an anonymous visitor comes to a website for the first time, the visitor is linked to a “tracking cookie” along with the visitor’s TCP/IP address. At this stage, the visitor is anonymous, but we are able to know that a specific person does these different things – we just don’t know who it is yet. It might be anonymous user 245231 or anonymous user 9843, or someone else. We can track their individual behaviors, but their identity is unknown. When the same person returns to the site next time, the system recognizes the visitor and connects the new visit’s behavior history to the previous history of this person (based on the TCP/IP address and tracking cookie stored on his or her computer). Only when someone submits his or her contact information in a registration form, will the system know who is visiting the site. But from that point onwards, the marketing automation system can know exactly what this person does, and who it is. All activities such as visits to different web pages and blog articles, clicks on call-to-action buttons and links, and registrations in different forms are tracked accurately, and appear in the timeline graph for each contact in the lead database of the marketing automation system. Do you want to know a secret? The system knows a bit more than that. When you first get to a webpage and start to click around anonymously, the system tracks what you do according to the description above. However, from the point where the anonymous visitor has registered his or her contact information in a form, we can link the visits to a certain identified person. Since we now know who is connected to a particular TCP/IP address and tracking cookie, we can also link the previous anonymous visitor history to the now-known identity. In effect, the marketing automation system can retroactively backtrack what new contacts have done on the site several months or years before they submitted a registration form and gave us their identity. Most often, a person’s activity (i.e., their behavior and digital footprint) is displayed in a timeline graph of the contact’s information panel in the database, including information about what this person did on the site before he or she became known as a new person in the system. Most marketing automation systems can synchronize this database to external CRM systems, allowing you to view the digital footprint and activity timeline graph for each contact directly in the CRM system. Your sales reps can thus know exactly what someone has done on the website prior to calling them. This information can help make the sales staff better prepared when reaching out to customers. 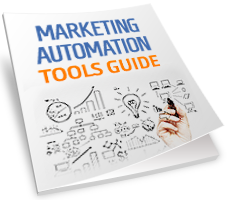 A marketing automation system can also track how a person opens – or click buttons and links – in different email messages sent from the system. The information in the timeline graph of a contacts activities can therefore also be supplemented with information about if and how often he or she opened a particular email, and which buttons and links in the email messages that this person has clicked on. To detect if someone has opened an email, the marketing automation system automatically inserts an invisible image in every email it sends. This image is usually 1 × 1 pixel wide with a 100% transparent color, making it completely invisible. Each recipient gets a unique “filename” (URL) for the image. For example, if the system sends identical email messages to 100,000 people, then each of the 100,000 email messages link to their own unique image filename (URL). For example, the 100.000 different images included in the emails may be called image_000001.jpg to image_100000.jpg. In practice, the image is only stored once on the server, and then 100,000 “copies” of the image – each with its own filename – are created programmatically using re-direction links. By seeing which versions of the image are requested when different people open the message in their email program (i.e., which image URLs are downloaded) on the server, the system can thus know who opened the message. 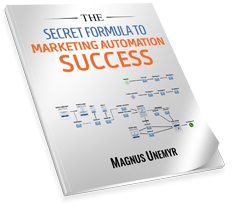 The image is stored on the marketing automation system server, and the whole process is completely automatic. There are shortcomings with this technology; for example, the system cannot detect that someone has opened the email message if the email program is set to “don’t download images included in the email”. However, any marketing automation system worth its salt has support for this technology, which in most cases means tracking any emails that each contact in the database has opened, when and how many times – or not at all. It is also possible to track who clicks on the various buttons and links contained in each email message – and in which case, what links they clicked on. This is implemented relatively easily with re-direction links. When you write an email in HTML format, you simply include hypertext links or clickable images that link to the web pages you want to drive traffic to when someone clicks on each link. 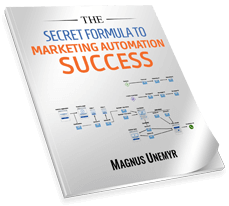 When the marketing automation system sends the message (whether it is to a single person or 100,000 people), it replaces the link with another link that links to the marketing automation system server. Similar to the tracking of opened email messages described above, the system replaces the link with a variation that is unique to each person receiving the email message. So, if you send an email message including a link to 100.000 people, they all link to a different URL. When someone opens the email message and clicks a link in it, the browser opens and tries to load the page with the recipient-unique URL address. The system detects that someone is trying to open this page, so it who knows who clicked the link (because no other person knows that link’s URL). Since you wanted the link to open some web page, the system automatically re-directs the browser from the recipient-unique URL to the original page that the link in the e-mail would originally drive traffic to. Here too, this is a fully automated process – include the links you want in each email, and the system manages this completely automatically without you having to think about any of these details. As if this would not be enough, it is possible to track visitors a bit more. If videos are embedded on the company’s website or in the company’s blog posts, it’s actually possible to track how each person has watched a certain movie. Not ifevery person has watched the movie, but how. Let this sink in for a moment. With the right technology platforms, I can know how each person in the contact database watches the movies that are on my site. I know who has watched a movie or not, when and how many times. It is possible to know how many seconds or minutes each contact has watched each movie, and whether they have fast forwarded or rewinded. 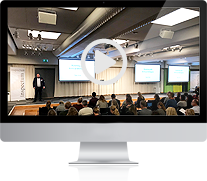 The trick is to integrate the marketing automation system with a platform for video marketing. The marketing automation system knows who currently visits the web page with the movie, and the video marketing system knows how different people are watching a movie. By synchronizing these two systems with each other, the information can be combined and we can know exactly how a certain visitor is watching a particular movie. This can be used for marketing automation logic that changes behavior depending on how each person views different movies. HubSpot and Wistia can do this, for example. With the right technology platform, it is possible to see this information in each person’s timeline graph activity history, and the information can also be synchronized from the marketing automation system to the CRM system, allowing the sales reps to see how each contact watches the movies on the web page.